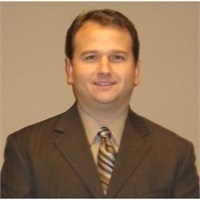 Scott has 16 years experience tailoring financial plans for professionals. He began his career with Terrell & Associates and then joined the Guardian in 1998. Throughout his career Scott has been recognized as a Million Dollar Round Table member. He has qualified for Leaders Club 14 times, and been awarded the Presidents Citation Award 11 times. He was also selected as member of the Next Generation Masters study group which is the top study group of its kind in the country. Scott has been requested to be part of numerous mediations due to his knowledge in structured settlements. He has also been a vital part of the creation of several medical practices. Scott is a disability income specialist, and has attended numerous estate and business planning conferences. Wealth Design Group represents over 1000 medical doctors and over 150 professional athletes. BS in Finance from McNeese State University with a concentration in portfolio management and taxation. Scott is married to Courtney and they have 5 children. In his free time Scott enjoys coaching his boys baseball and football teams. He also enjoys traveling with his family in their motor home attending football games, vacationing to various locations and attending mission trips. Registered Representative and Financial Advisor of Park Avenue Securities LLC. Financial Representative, The Guardian Life Insurance Company of America.